How giant, you ask? 18 inches. Eighteen inches. X-Plus Toys' Zero is officially the largest Mega Man figure to date. It comes with interchangeable Buster and a handy-dandy Z-Saber. Pre-orders go live tomorrow. Watch this post for updates! UPDATE: Pre-orders live on Amiami for 10,200 Yen ($84 US). A day early doesn't hurt! Sounds completely insane (In a good way!) unfortunately I'd imagine this figure will cost quite the penny So I probably won't be picking one up. I'm still really hoping for Mega Man Star Force 3 Inspired 5 inch or so figurines, Black Ace and Red Joker are literally perfect for model kits, but with the way capcom seems to forget the DS generation of Mega Man i doubt I'll see something like that anytime soon. Dear lord that looks great! 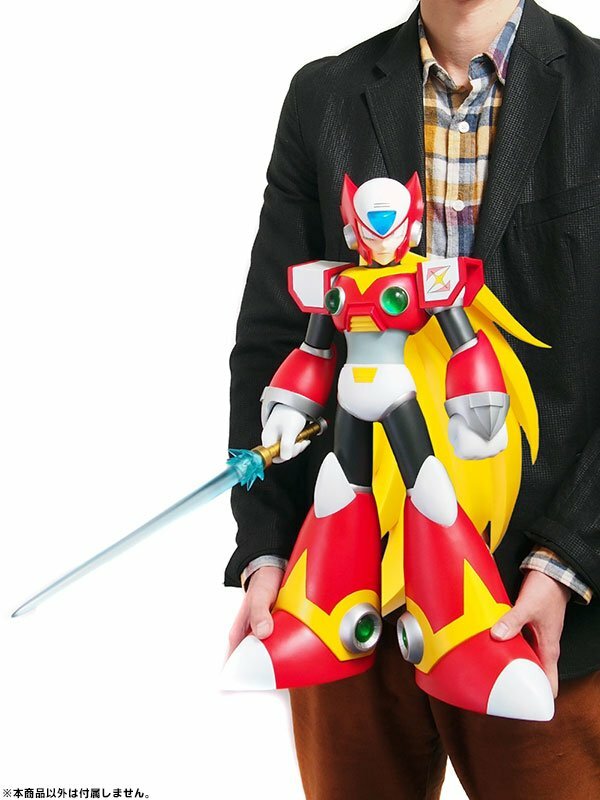 That Z Saber handle is slick and that figure is HUGE. My money. 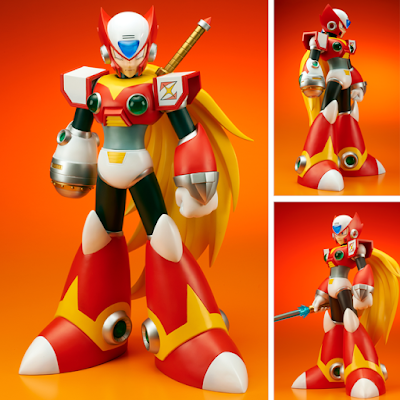 How come it's 84 on amiami and 139.99 on bigbadtoystore? bigbad used to have great prices, got most of my d-arts there because they were cheaper there. What happened to you big bad? D-arts are officially distributed by Bluefin, that's why they can offer a good deal. For this I think they have to import themselves, that makes the price go up. Yeah import fees is the issue.